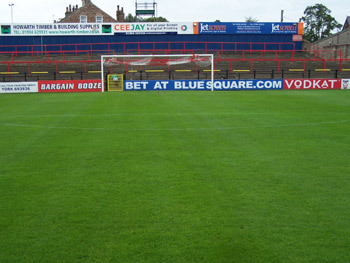 During the summer renovation of the pitch at York City Football Club, head grounds man Mark Hirst decided to trial Vermi~Pro on part of the pitch to see what benefits could be achieved to the playing surface. Vermi~Pro was applied to an area from the centre line towards each of the penalty lines. When we visited in early December, Mark said that the treated area had increased root development, was holding up and playing very well. Looking at it now I should have extended the application to the whole playing surface. Mark stated he will definitely be using Vermi products on the whole pitch next season. You can visit YCFC website via the following link.